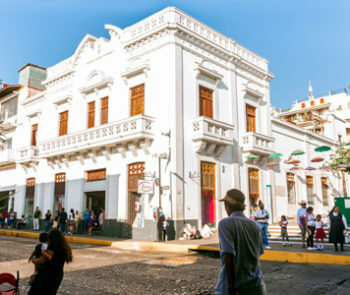 In Part I of this series reviewing the architectural history of Puerto Vallarta with architects and specialists Alfonso Baños and Óscar Morán, we almost covered its first 100 years, when serrana (highlands) architecture predominated, established when the first settlers from nearby municipalities brought their methods and customs, including rustic and traditional buildings with a colonial air. For decades, intersecting cobblestone streets and buildings with sloping tile roofs, adobe walls and narrow vertical windows would form its unique landscape: serrana architecture blending with the warmth of the sea and the exotic beauty of the jungle. In this second part, we explore how the arrival of the first visitors and new trends began to transform this idyllic setting, bringing new styles and ways of building to the city, which adapted without losing its original essence. In the ‘40s, the arrival of the first visitors triggered a transformation for both the local economy (henceforth with a focus on tourism) and its urban landscape, giving rise to functionalism, the avant-garde style of the time. Baños notes that for the first time, “There was a break from serrana architecture, in order to adapt to the needs of the tourist industry, modifying the geometry and building technology and imposing simplicity of lines.” This architectural style, where “form follows function,” is characterized by flat roofs, elongated horizontal windows, full facade balconies and 45-degree corners. In addition, buildings of between three and five levels were built for the first time in the city, and modern materials were used, such as prefabricated shutters, concrete ceilings, ironwork and glass. 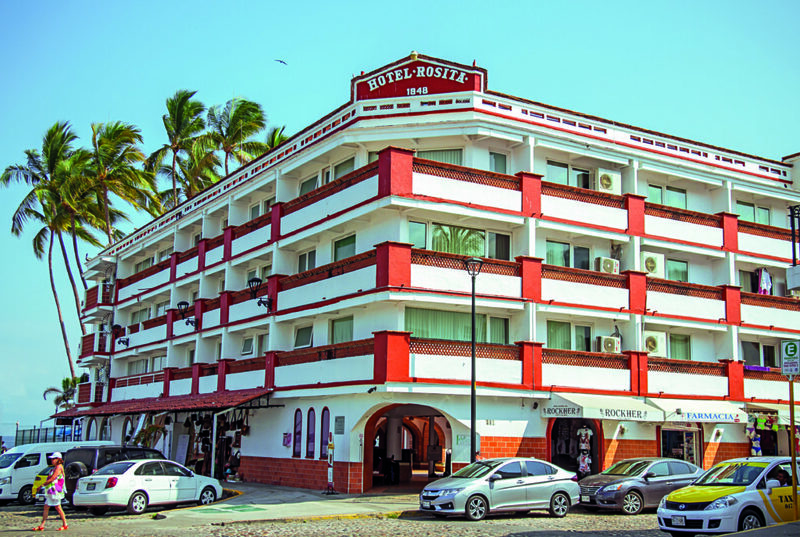 The most representative example from this period is Hotel Rosita (1948), which was built with simple geometric lines and spaces designed to meet the modern needs of its guests, including amenities such as hot water and a swimming pool. 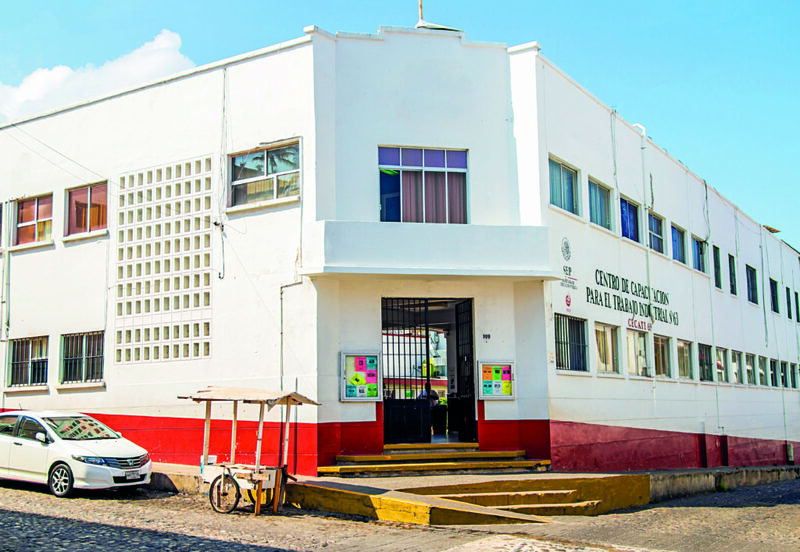 Other large examples are the school buildings built on Zaragoza street during the 1950s, such as the Teresa Barba school, and the Agustín Flores Contreras auditorium. Fernando “Freddy” Romero is considered the creator of this new “school.” His first projects were Las Campanas, a series of Mexican-style bungalows. He is also behind most of Gringo Gulch’s emblematic houses, where he respected the basic forms of serrana architecture, but added his own style with many original elements and materials: unglazed, painted bricks, interior adobe walls, bottles in walls for illumination, polished cement in the form of mosaics, windows with vegetation and ironwork. “In addition, he took advantage of the views with terraces, balconies and windows,” says Morán. On the corner between Matamoros and Mina streets, four Freddy Romero houses are still in excellent condition. During that time, engineers Luis Favela and Guillermo Wulff were also of great importance, as well as architect José Díaz Escalera. 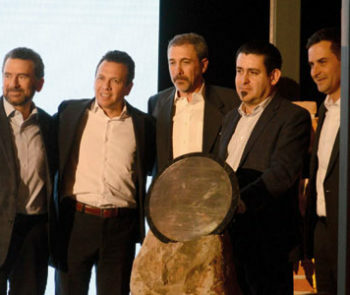 “All of them had unique characteristics, but shared the vision of incorporating the construction and stylistic legacy that Romero initiated,” says Morán. “Romero used many traditional materials in his structures, but Favela and Wulff began to use more modern structural forms and city materials, yet always covering and accessorizing with traditional materials. 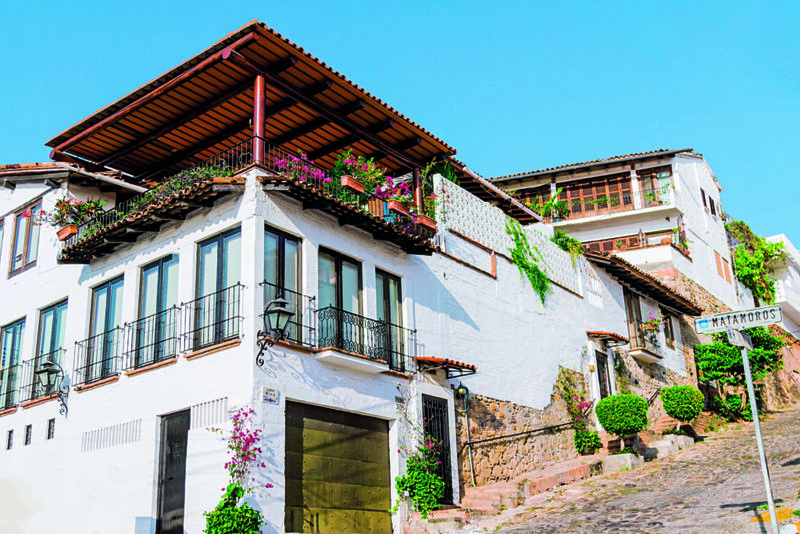 Thanks to them, new construction elements were incorporated, such as domes, arches and exposed brick walls, among other elements that would henceforth be in high demand and would be part of the architectural heritage of Vallarta,” clarifies Baños. 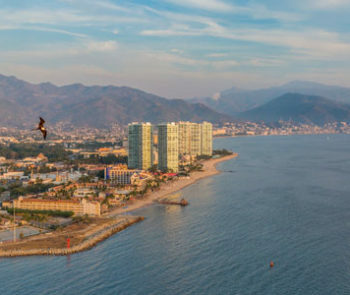 With the arrival of postmodernism in the ‘60s and especially the increasing projection of Puerto Vallarta as a tourist destination during the ‘70s, Vallarta style (still maintaining its roots) would begin to evolve in a freer way to meet other stylistic functions and needs, which we will explore in Part III of the History of Puerto Vallarta Architecture.